Fully Automatic Blow Moulding Machine is suitable for producing PET plastic bottles, max 2L with high quality and energy-saving design. RM-6000D bottle making machine is suitable for producing PET plastic containers and bottles in all shapes, including 0.1L to 2L. Fully Automatic Blow Moulding Machine is suitable for producing PET plastic bottles, max 2L with high quality and energy-saving design. RM-6000D bottle making machine is suitable for producing PET plastic containers and bottles in all shapes, including 0.1L to 2L. 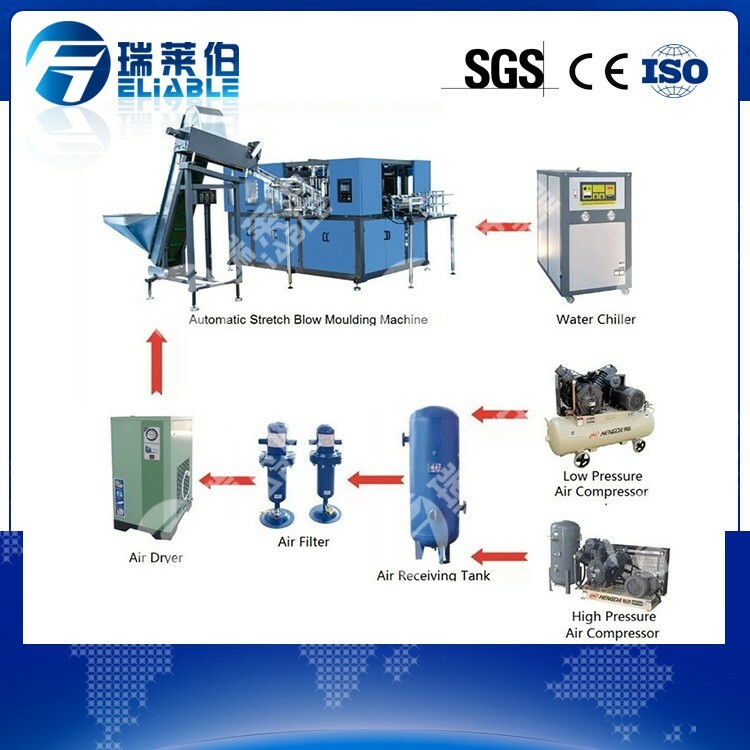 It is widely used to produce the carbonated bottle, mineral water, pesticide bottle oil bottle cosmetics, wide-mouth bottle and hot fill bottle. We are among the reputed organizations, deeply engaged in offering an optimum quality range of Fully Automatic Blow Moulding Machine. We have professional QC system, and checked the products one by one, so that we can make sure the products with the high quality. Anything we can help you with, please let us know. We would be absolutely do that to bring you a good shopping experience. (1) Reasonable design, full automatic control, save power and labor. Adopt high quality components. (2) Feeding system carries the performs by robot automatically. (3) Infrared oven heater adopts the quartz lamp to heat the PET tube. (4) Fully automatic process with low investment, high efficiency, quick and safe operation, easy for trouble -shooting, maintenance and other benefits. (5) We have perfect service after sales.